These dealers need to access a wide choice of the highest quality vehicles with comprehensive histories, which can be placed straight onto their website and rolled onto their forecourt. They must also meet manufacturer used car programme requirements. But where to find this kind of stock? 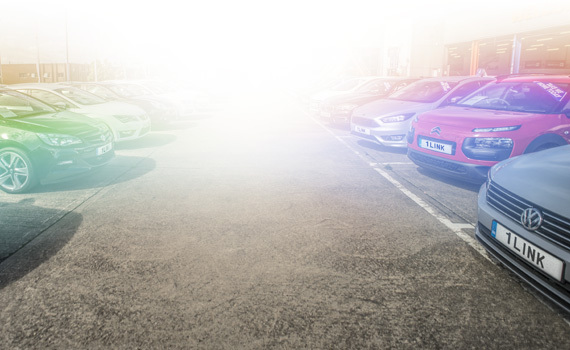 1link Disposal Network is, we believe, the single best online source for franchise dealers in the UK, with a wide range of cars and vans available from suppliers such as Volkswagen Financial Services, Motability Operations, Autohorn, Agility, Avis, Fleet and Finance (formally Vertu), Citroën and more. Each of these is supported by high-quality images using the AutoTrader 360 standard and a comprehensive history – plus the bidding and buying process couldn’t be easier. Tim Meadows, Commercial Director at epyx, the company behind 1link Disposal Network, said: “It is already clear that one of the key industry trends for 2018 is the amount of effort that franchise dealers are putting into their used car operations. This is certainly something that makes sense at a time when new car sales and margins are being squeezed. “However, the perennial problem for franchise dealers is how to easily get hold of the very highest quality stock. At a time when they are looking at boosting their used car throughput, this problem is compounded. “1link Disposal Network resolves this issue like no other online platform, thanks to the great stock on offer, the depth of vehicle descriptions, quality of images, and a buying process that can be done online at your desk or, using our app, just about anywhere. “Over the last year or more, we have seen use of 1link Disposal Network increase substantially on a month-by-month basis and this is happening because the platform ticks all the key boxes for all traders – but there has especially been growing interest from franchisees. Sophisticated yet easy-to-use app allows you to browse and buy stock anywhere and any time of day.